When Psyonix launched Rocket League, could the developer have ever possibly imagined that this addictive little game with a relatively simple premise would become a true eSports phenomenon? Global competition is now the norm when it comes to this title and we are delighted to give eSports fans the chance to bet on the outcome of top matches. Here’s our very own MasterMazuma guide on everything you need to know about the thrills and spills of Rocket League – and Rocket League betting. For the uninitiated, Rocket League was developed and published by Psyonix and launched for both PC and PlayStation 4 in July 2015. The warm reception and reviews it received also led it to eventually be adapted for a host of other platforms including Xbox, Linux and OS X. What is it all about? Well, it involves playing soccer with a host of cars boosted and customised with a range of special features. As in the real game, the aim is just to get the ball in the opponent’s net by any means possible, but the quirky and fun idea of adding cars into the mix meant that it was a huge success. Since its launch, this simple premise has been refreshed and supported by a host of downloadable content which has provided both gameplay updates and new variations on the game. Among these have been the launch of new arenas and the creation of special edition cars including Back to the Future’s Delorean and even the Batmobile. We found it interesting to note that Rocket League’s journey into the multimillion dollar world of competitive gaming actually began very shortly after its initial launch. Just days following its release it was confirmed that the game would become an eSport and join the ESL – the Electronic Sports League. Ever since, the game has also been played through Major League Gaming and Psyonix has also launched its own official Rocket League Championship series. The latter debuted in 2016 and is now in its third season as a fully-fledged competition. Like so many other areas of eSports, the championships have already seen a rise in prize money with funds for this current Season 3 standing at an exciting $300,000. While that level of funding may put behind other big hitters we also offer eSports betting on – like Dota 2 – the fact it has already grown in such a short space of time means we think this eSport is one to watch and bet on in the next few years. The competition begins with open qualifiers held in North America and Europe. Eight teams meet each other once in League Play, where matches are run on a best-of-five basis. The top six sides from both North America and Europe then meet in the regional championships, with the best four from each continent meeting the top two from Oceania to battle it out at the World Championships. This all takes place across a few months, with the 2017 finals taking place in the US in June. The big question now of course is just who should you back when it comes to the main events. 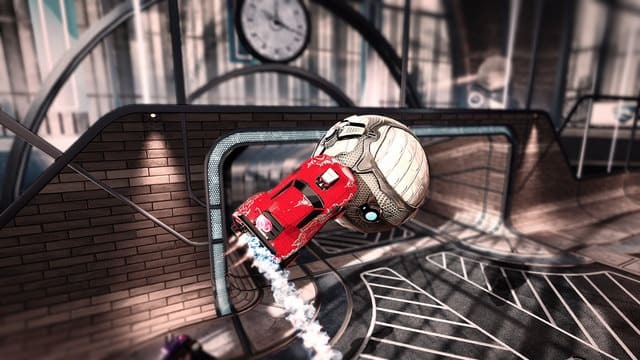 As in any sport, anything can happen in the high-octane world of Rocket League – and Rocket League betting – so outcomes are very rarely predictable. However, we do think there are a few key names to look out for when it comes to watching the form of certain teams. FlipSid3 Tactics are one of the hottest teams of competitive Rocket League, as they won Season 2 of the Rocket League Championships. iBuyPower Cosmic won Season 1 of the same competition. They actually became part of G2 eSports in 2016 and remain a strong side to look out for. Other sides doing well in Season 3 include California-based NRG Esports and Gale Force Esports. We think you should keep an eye on these teams if you want to make good decisions on Rocket League betting. As in any sport, the key is to look for insider tips and information and consider how it might influence the way matches may go. Other approaches to consider before placing a bet may be to pay attention to roster changes and how they may have affected teams from season to season. Does a certain side look as strong as in previous competitions or has the loss of a key player meant that things have started to slide? Finally, keeping an eye on earlier rounds of a competition will also help you make a winning choice. By analysing more of the teams out there, you may be able to spot the next side which is set to break through into the major championships. This kind of eye for detail could make all of the difference when it comes to backing a dark horse when getting involved in Rocket League betting. 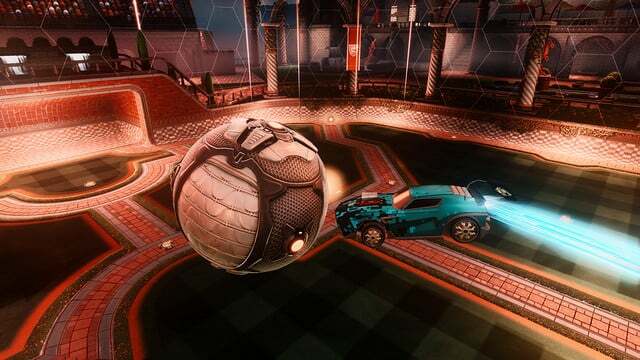 It is amazing to think that a game with the simple – but admittedly unusual – premise of playing soccer with cars has become a truly global competitive gaming hit, with the best of the best competing for serious prize money and eSports glory. However, we think Rocket League is a fantastic and thrilling addition to the range of games now played in eSports. It generates a huge amount of excitement and its premise makes it a perfect eSport to enjoy betting on, especially for those who like to bet on soccer games. With its profile only set to grow over the coming years, who knows just how huge this brilliant game could truly become. Head over to our pages on Rocket League betting to find out more about the key matches which are coming up and place your bets with Master Mazuma. We’ll give you a bet 5 get 10 offer for a chance to show you why we’re the best place to bet on eSports today.